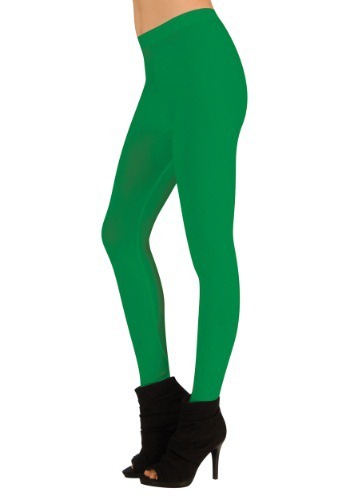 Are your legs just not green enough? You could try scribbling on them with a magic marker, but that doesn't really wash off easily. We suggest using these Women's Green Leggings to add some emerald color to your gams. Your legs will be happy to have some extra color in their lives! These are great to have on multiple occasions per year. Wear them will a red dress for the Christmas season or add even more green to your ensemble for Saint Patrick's day. Whether you'll make a fantastic Grinch or a fun gummi bear ensemble. No matter what you'll love to have a little shot of color to suit plenty of occasions in your eventful life. After all, there's no reason to stick with boring old black tights. You're better than that! In fact, you're more colorful than that! Hey, it turns out that it's pretty easy to be green.